Breaker of Dawn Ministries International is an international ministry focused around intercession and equipping believers to walk in the fullness of the Father’s design for their lives. It was founded by Jerry and Judy Ball, whose calling extends to America, Israel, college campuses, and the nations of the earth. Since 2011, Breaker of Dawn has founded and hosted the Ignite Ivy (for Ivy League and MIT students) and Ignite America gatherings as unifying outreaches to college students starting with the Ivy Campuses and beyond to campuses across the entire nation. Students encounter God together in a multi-generational atmosphere and are equipped to impact their campuses and to see the Kingdom of God advance. Breaker of Dawn stands with the people of Israel and hosts educational and intercessory trips to Israel, taking college students during the summer and generals of intercession to intercede during the Feast of Tabernacles in the fall. 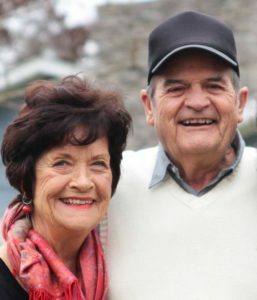 Jerry & Judy also serve on the board of several national prayer movements and have a huge heart to see America return to the Lord. They have served as strategic intercessors at many different events around the nation and around the world in different nations. Please visit www.breakerofdawn.org or email [email protected] for more information.